Wimbledon is in full swing, and it's got me wanting to get out my tennis whites, sip on G&Ts, and throw an epic lawn party. So break out the croquet set, dust off those tennis rackets, and get out in the sunshine! 2. Ok, maybe vintage racquets not the most practical when playing tennis, but they look quite photogenic mounted in the salon. Search for yours here. 6. Gin and Tonics are a classic summer drink - light, yet thirst quenching. Get your dose of quinine with a Bombay Sapphire East Gin and Tonic with Fever Tree tonic. I like a variation to the classic cocktail, using Bombay Sapphire East, a gin made with lemongrass, black peppercorn, lemon peel, coriander, almonds, and licorice, along with other roots and barks from around the world. The bright citrus flavors of the lemongrass and the hot black peppercorn balance so nicely with the juniper. Build over 1" ice cubes in a high ball glass, stir, squeeze one lime wedge into cocktail, and garnish with the other lime wedge. 7. 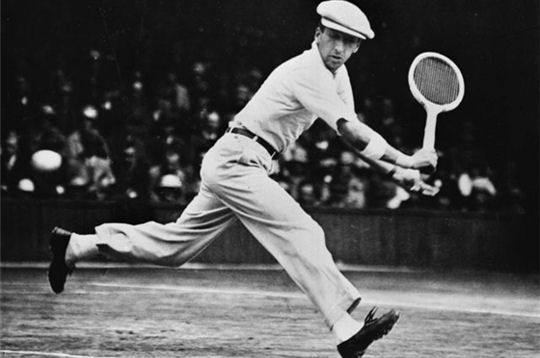 Tennis has always been one of the most fashionable sports - a good reason to get out on the court, if you ask me. Love a good striped number for the court, especially this Pique Pleated Tennis Dress by Lacoste - $150. 8. Keep hydrated with infused refreshers - ice water with fresh fruit like strawberries and mint served up in pretty pitchers. 13. Make Tea Sandies for snacks - cucumber sandwiches, smoked salmon with fresh dill and cream cheese, and avocado toast with lots of flaky salt and fresh lemon juice. 14. Serve Belle de Brillet Champagne Cocktails for the ladies - a wonderfully refreshing cocktail of bubbles and juicy pear cognac. Garnish with thin slices of fresh pears for extra flare. Build in a Champagne Flute, top with Champagne, and enjoy! See you on the lawn in your whites!